Asheville, North Carolina – i am uniquely and wonderfully made. A four-hour drive from home ( home as of this writing) and we found ourselves exploring Asheville, a city located northwest of North Carolina. After a quick stop at the city’s visitor center, we decided to visit a regional brewery. If you love beer, or just wanted to learn more about brewery, or in my case just wanted to see someone rejoice while feasting on beer samples, then this is the place. Highland Brewing Company is my hubby’s paradise. They offer FREE 45 mins to an hour tour and free tasting (!) – Monday-Saturday 4pm. I do not doubt hubby is even willing to stay at the brewery much longer. 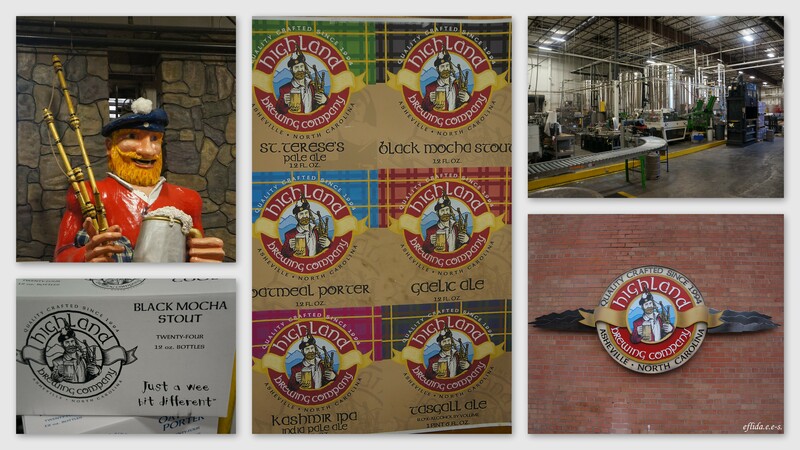 Highland Brewing Company brewery tour in Asheville, North Carolina. A feast during our Highland Brewing Company brewery tour in Asheville, North Carolina. A walk around downtown Asheville exudes a hippie impression, reminding me of the days when life is all fun and everything is cool. Had I continued skim boarding and pursued my dreadlocks, I am sure to fit in. There is more to being hippie in Asheville however. The place is beautiful and there is so much to see. 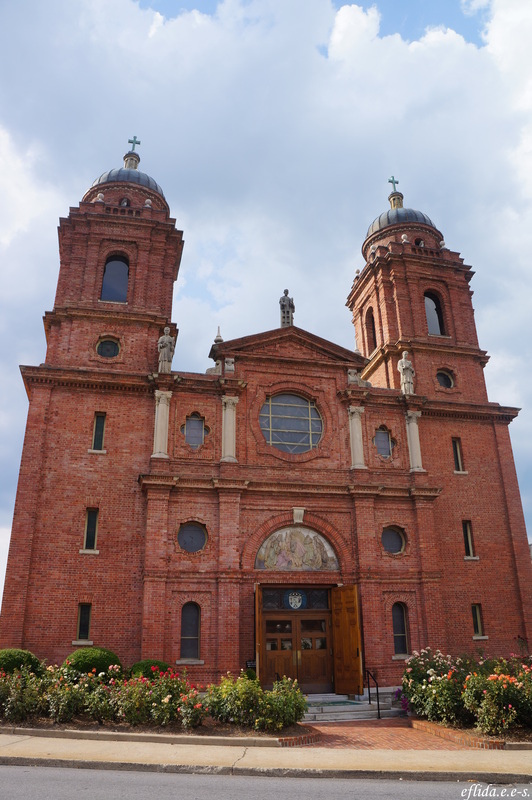 A Catholic Church in downtown Asheville, North Carolina. Standing in the middle of one of downtown Asheville’s hippie streets. Random scenes at downtown Asheville, North Carolina. It was nearly sunset and we had a play to catch. Presented in an outdoor theatre in a park downtown Asheville, Shakesperean plays are featured all summer long. “Much Ado About Nothing” as you enjoy it under the stars was awesome. The production was never mediocre, the actors and actresses were excellent at their craft, the audience was great and simply the fact that it was held outdoor where actors and actresses interact with the audience (and my hubby was holding my hand) was just perfect. There were even fireflies teasing us on our side while watching the play. When you visit Asheville, you sure would not want to miss this! An excited crowd waiting for Much Ado About Nothing, a play under the stars in an open outdoor theatre in Asheville, North Carolina. The open outdoor theatre for the play under the stars, Much Ado About Nothing, in Asheville, North Carolina. Much Ado About Nothing, a play under the stars in an open outdoor theatre in Asheville, North Carolina. One of the actors interacting with the audience in Much Ado About Nothing, a play under the stars in an open outdoor theatre in Asheville, North Carolina. Two of the actresses interacting with the audience in Much Ado About Nothing, a play under the stars in an open outdoor theatre in Asheville, North Carolina. The entire cast of Much Ado About Nothing, a play under the stars in an open outdoor theatre in Asheville, North Carolina. Everyone has seen a play at least once or twice in their life. But who else gets to say they have watched it in an open theatre right under the stars? Watching Much Ado About Nothing, a play under the stars in an open outdoor theatre in Asheville, North Carolina.